Organic farming experts say Gunapaselam contains all the nutrients your plants need for their healthy growth and immunity. If you are a vegan or a vegetarian, this may not be the solution for you. But those who do not want to throw away fish rejects can extract maximum benefits by preparing this plant tonic. Soil Recipes is a useful how-to-do-it manual on soil nutrition and maintenance authored by Goa-based organic farmer ISA ALVARES and published by The Organic Farming Association of India (OFAI). Endlessly Green is happy to republish these recipes. The recipes, as the author says, have been “vetted and verified by experienced organic farmers” belonging to OFAI. They not only “enable the soil to re-stock its populations of beneficial soil microbes”, but also help “control disease…” The following recipe is being republished verbatim from Soil Recipes authored by Goa-based organic farmer Isa Alvares and published by The Organic Farming Association of India. Chop the fish into fine pieces. 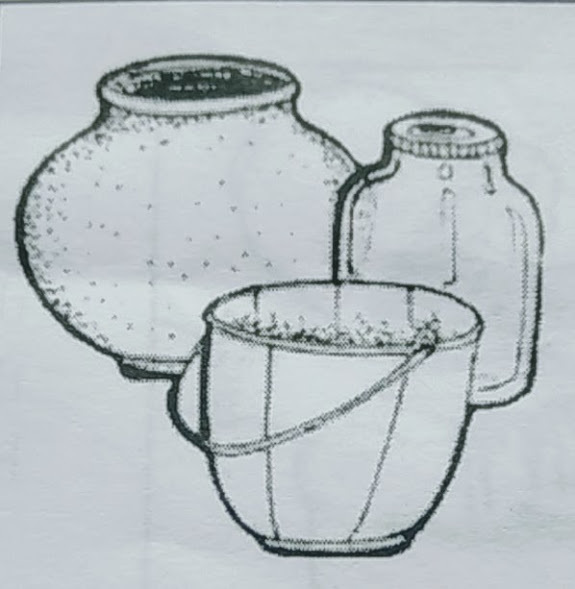 Mud pot or a plastic bucket or a glass jar or any other container with cover but NO metal container. In a container that is just the size, measure the same quantity of fish, jaggery or molasses: For 1 kg fish, 1 kg jaggery. For 1 kg of fish waste, add 11/2 kg of jaggery. Tie the mouth of the container with the piece of jute or cotton cloth to prevent the entry of flies and place the container out of the house and far away from animals, as during the first four days, the bad smell of the preparation can be very attractive for them. On the 5th day and during the next 20-30 days, you have to stir the mix once a day every day. During this time you will notice how the smell changes from bad to sweet. By around the 10th day, the solution will be fermented but you can keep it 15-20 days more. You can judge by the smell: when the smell disappears, the solution is ready to use! Decant the solution through a strainer and the filtrate looks like honey-like syrup. 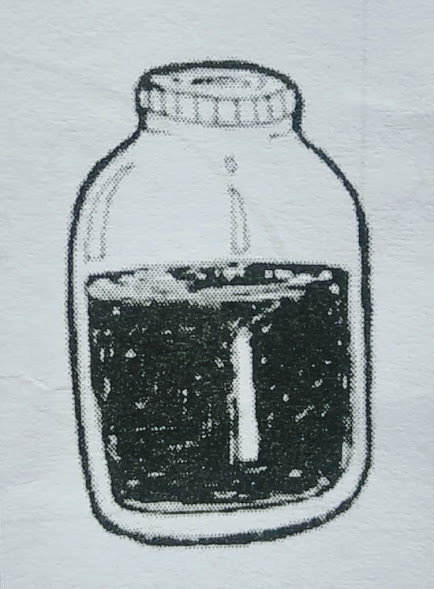 Keep the filtrate in a glass jar or another container with cover and close it tight. The extract will remain in good condition for 6 months. If you use fresh fish in 1” pieces, you can use these a second or third time to prepare the solution, but fish waste can be used only once. Every time you have to add an equal quantity of jaggery to the remaining fish and keep it for fermentation for 15-20 days. Gunapaselam is an excellent plant tonic. It assists in plant growth providing nitrogen (8-10% of plant’s requirement). It is a rich source of amino acids, microbes, micro and macro nutrients which also help to enhance the soil fertility. It is proven to be effective, both as a natural growth promoter as well as a pest repellent. Used in addition with other sprays, it helps control root grubs. Fish protein is hydrolyzed from fish waste to serve as animal feed and plant supplement. This material was found to be nutrient-rich, since it contains desirable macro (N, K, Ca, Mg, P and S) and micro elements (Cl, Fe, B, Mn, Zn, Cu, Mo and Ni) found in the viscera and head of fish. Use it like a liquid foliar. Apply 3-5% in water as spray during dawn or dusk on any crop, for promoting growth, flowering and yield increase. It could also be mixed with irrigation water if one has more fish or fish waste (proportion: of 2 lts. Solutioon per hundred lts. water). When we prepare this extract from 3-10 kg of fish, then the quantity is sufficient for use in one acre of land. If you have queries, please write to: Soil Vasu (P Srinivas Vasu), soilvasu@gmail.com or endlesslygreen360@gmail.com. 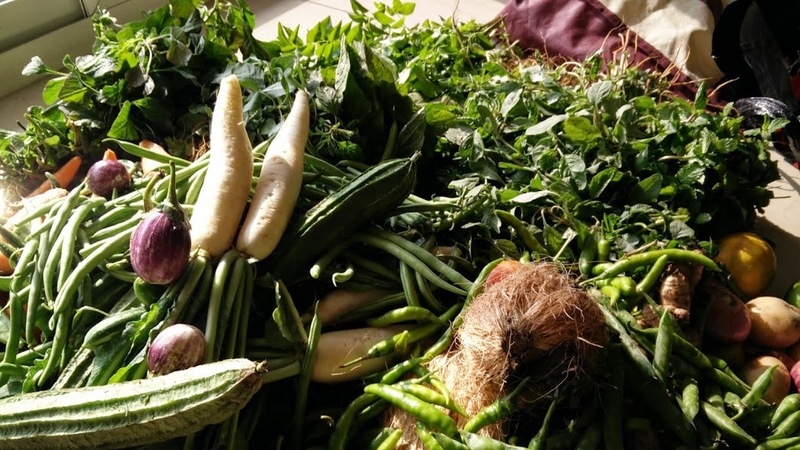 This entry was posted in Endlessly Green, Organic Gardening, Soil Recipes and tagged fish fertiliser, organic gardening, Soil Recipes, Soil Recipes by Isa Alvares. Bookmark the permalink.